For many content teams, building an editorial calendar seems like nothing more than an idealistic dream. You know that you should do it — but what usually ends up happening is a content planning process that’s haphazard, at best. 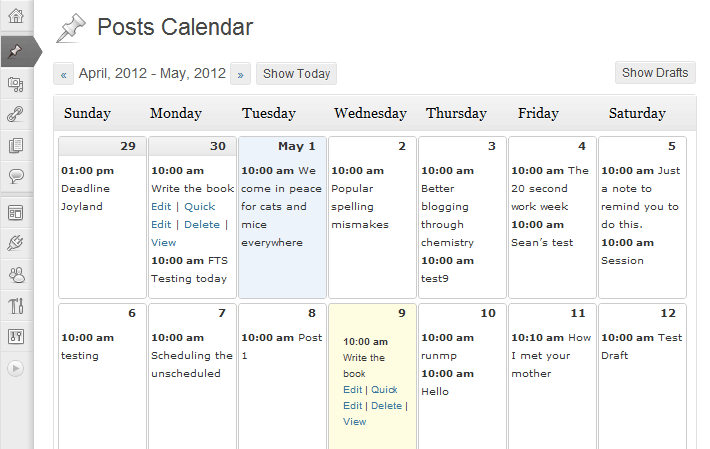 Perhaps the biggest obstacle to actually using an editorial calendar lies in, well, it’s usefulness. To be sure, it’s one thing to grab an editorial calendar template and add some placeholders for tentatively planned content. It’s quite another thing to flesh out these placeholders with useful information to guide the creation of content that’s relevant and useful to your marketing efforts. Before you completely give up on organizing your content marketing efforts with an editorial calendar, consider this robust process. 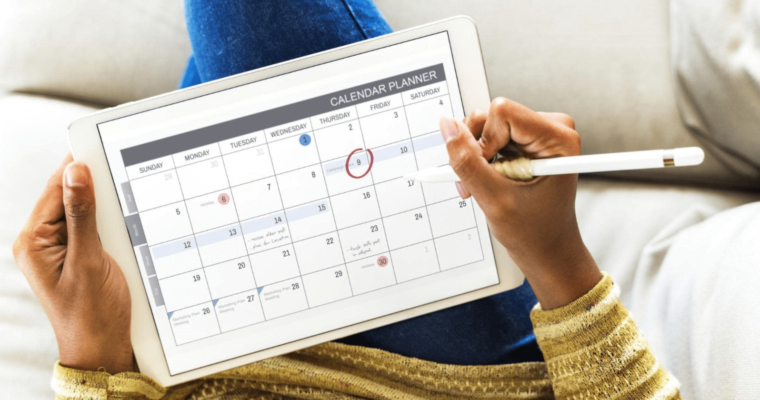 The major reason for spending time on an editorial calendar is to create an actionable system for coordinating various content marketing efforts. Planning ahead and organizing for various initiatives makes it less likely that you’ll forget about them — potentially missing an opportunity to build relationships with followers. If everyone is aware of their roles (and relevant due dates), the process is more likely to stay on track. As mentioned above, creating organization and structure also means less stress for all parties, because everyone can work around stated deadlines — instead of last-minute demands. If you are coordinating efforts with multiple parties, some of this process may be best handled within a project management tool that your team already uses. 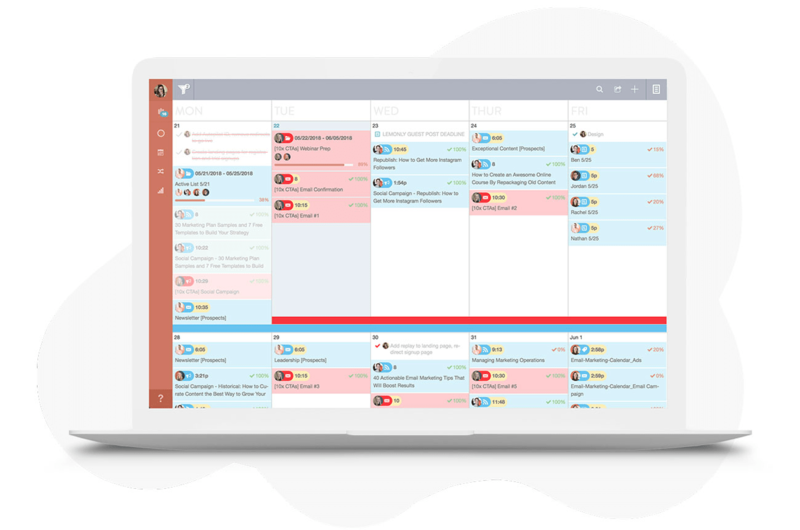 That said, you’ll still want to have a separate tool for managing your big-picture editorial calendar so that it’s easy to see what’s coming up, at a glance. You need to start with an editorial calendar template. HubSpot’s social media content calendar template makes for a nice base of operations when it comes to coordinating all of your company’s content marketing efforts. It’s free to use and exists as a Google Sheets file — perfect for collaborating with your team, in real-time! Using Google Drive and comments, you could link to relevant content assets directly from this interface for easy access and recall. Search Engine Journal has created their own version of this — with guidance for holidays to plan content around. 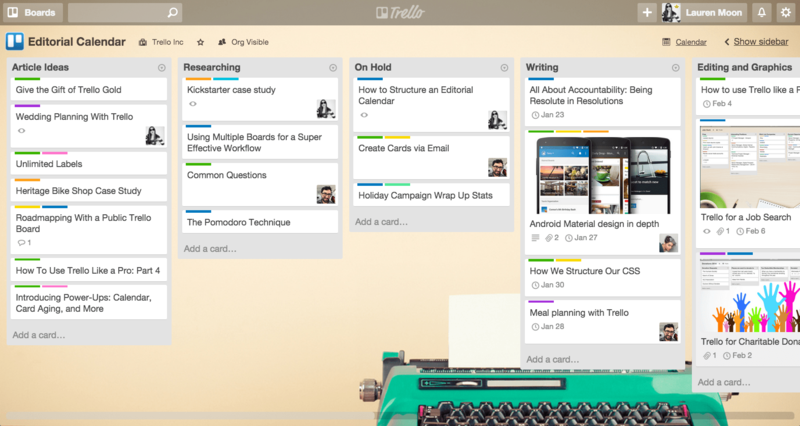 Or, you could follow the lead of top content creators like Sprout Social and Kinsta, which use Trello as their editorial calendar template tool of choice. If you manage content creation within WordPress, there are also several WordPress plugins you could use to support your content planning efforts. Both offer similar functionality to the editorial content templates already mentioned. An important part of planning content is making sure that you cover a wide enough range of subjects to get readers excited about coming back for more. Should you try to be everything to everyone on your blog? It’s absolutely ideal to operate within a clearly defined niche. The more specific, the better. You just want to be purposeful in your coverage. While planning out overarching blog categories, it’s important to be thinking about things like your sales funnel and search intent. 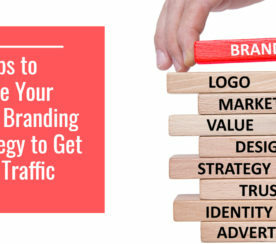 When someone first interacts with your brand, they may not be ready to convert. By creating content that meets your prospects where they are in the buyer’s journey, you create an opportunity to build a relationship that eventually leads to a sale. Two major types of search intent that align with important parts of the sales process include informational intent and transactional intent. Informational intent reflects the discovery and consideration stages of the sales funnel. People aren’t ready to buy just yet but they are considering their options and are searching for more information. You’ll want to optimize for keyword phrases that include “how to”. Transactional intent, on the other hand, means someone is using keyword phrases that include words like “reviews”, “discount”, or “pricing”. They’re ready to buy now. Your editorial calendar must reflect people’s various levels of readiness to buy and the information they’re seeking to make that decision. It must also account for your audience’s attention span and their need for a diversity of content to move them down the sales funnel. Consider this aspect of content planning in this way: if you posted the same type of thing on your social channels every day, people would eventually start to ignore it. If there’s no diversity in what you’re posting about day-to-day (or week, month, etc. ), there’s no curiosity gap for readers to satisfy when it comes to clicking through and reading your content (then converting). Before you attempt to define individual blog topics, you must first determine higher-level blog categories. Even if you already have some set categories in place, if you’re already overhauling your editorial calendar process, it’s the perfect time to audit your existing blog categories. Though an editorial calendar can help inform your efforts on multiple digital marketing mediums, the main focus is usually on blog content. And if the goal of your blog content is to drive SEO traffic, determining individual topics should be a function of keyword research. It helps to come in with ideas of what visitors want to learn about, then refining those ideas on your favorite keyword research tool. It’s harder to write a blog post without this information first — you may find that your chosen topic is hard to rank for or that there isn’t enough search volume to justify its publication if you wait until after you’ve drafted most of an article. Keyword relevance: Be brutally honest with yourself: is your target keyword actually relevant to your target audience? If it’s too vague, consider adding word modifiers to get more specific (and give your keyword a longer tail). Keyword difficulty: Unless you’re a well-known entity that has built up a great deal of authority, relevance, and trust, you’ll probably want to stick with options on the lower end of keyword difficulty. An SEO tool like Ahrefs makes it easy to see how many backlinks you’ll need to realistically rank for a given term. Keyword intent: Make sure that your mix of keywords speaks to readers at various stages in the buyer’s journey — not unevenly focusing on just “how to” queries. Keyword volume: Note that it’s better to drive 10 qualified leads to your website than 1,000 random visitors. Anything under 10 monthly searchers is ignorable but anything over that is worth considering trying to rank for, especially for a super-niche keyword phrase. You’ve found your ideal editorial calendar template/tool combination, have fleshed out the categories you want to be regularly creating content for, and have started the process of keyword research. Congratulations — you’re now well into the process of populating your editorial calendar. There’s really just one more step you can take to make sure that your editorial calendar actually gets used: creating a detailed brief for each planned topic. This step is especially important if the person creating the editorial calendar is not the person who will be creating the content. If you have a vision for how a certain piece will turn out, it’s your responsibility to effectively communicate this vision – or risk a final deliverable that looks nothing like what you expected. 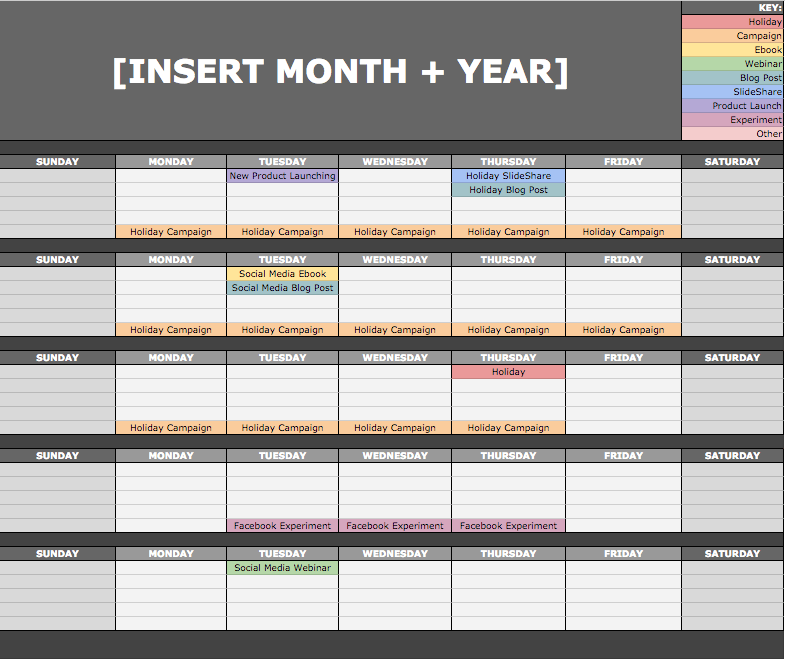 The corresponding blog category: If you’re using a visual editorial calendar, consider assigning different colors to different categories so that you can quickly see how well you’re fleshing out content for various focus areas. A rough title: Your content writer can flesh it out to something ready to ship but adding in the skeleton of a title can certainly help define the direction for content creation. Primary and secondary keywords: If you want your writer to use specific keywords, tell them upfront. It’s easier to write content that sounds natural when you know what needs to be included (instead of trying to add it back in after the fact). If you have suggestions for semantic keywords, you should also add in this information to each brief. Potential source material: How can your writer learn more about this topic or make use of reputable sources for grabbing quotes and statistics? If you have an idea of where research should start, share it with your content writer. A written brief: For some, this is a few sentences. For others, it might be a complete outline, including suggested subheadings. In either case, the point is to give direction as to what you expect to see in the final article. Article(s) to outperform: If there’s a company (or multiple companies) dominating the search results for your target keyword phrase, include links so that your content writer knows the nature of the content they need to beat in order to rank. This can also help your content writer start thinking about the article’s structure. A feature image: Consider this step as bonus points: getting really ahead of the game. If a graphic designer will be creating relevant article imagery, leave some direction for them here (or remind your writer to provide direction as part of their final deliverable). A publishing/promotional checklist: Ideally, there will be some sort of process for publishing and promoting content. 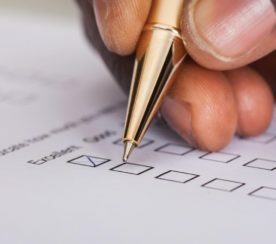 Adding a checklist directly to your editorial calendar helps ensure that proper process is followed so that each piece reaches its true potential. While you’re still planning, you might also start coordinating the creation of copy, imagery, and other relevant content to promote your blog content. While SEO content may be your sole purpose for creating an editorial calendar in the first place, it certainly isn’t the only way you can make use of this tool. Let’s get real: no marketing efforts, like optimizing content, should operate independently in a silo. Content marketing success comes from the coordination of cross-promotional actions across various channels. Lead magnets, like ebooks and whitepapers. 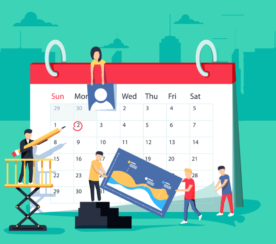 With the right approach, an editorial calendar can simplify your content marketing process while reducing stress associated with last-minute coordination. The better your planning, the more predictable and useful your output will be.